SPECIAL OFFER! BUY 2 GET 1 FREE! 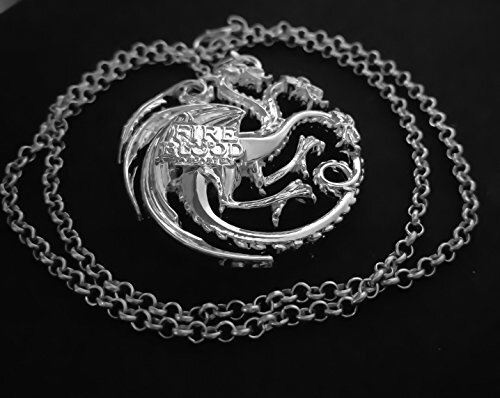 * This is a very heavy and detailed 3 Headed Dragon Pendant from Game of Thrones; the perfect treat for yourself or a loved one. All our items are handmade with love and care and come in a gold / sliver organza gift bag with sweet. Our retro gamer / TV & Movie fashion jewellery is made the same way as similar ones offered by big high street brands who sell them for £20! Most people agree that the quality we offer is equal or better and immediately make a decision to buy more! :) We are based in Kensington, Central London and we think you will love our posh fashion jewellery just as much as the London socialites / celebrities do!